Roger Federer struggled for a set with Simone Bolelli’s serve and with a sore finger. Then he bounced back and spins off victory in four sets. Andy Murray wins in straight sets. Fernando Verdasco advances to round three with a win over Japan’s Go Soeda 6-3 6-2 7-6(3). He plays Djokovic in the next round. Verdasco and Djokovic have met 10 times, with Djokovic holding a 6-4 advantage. Kei Nishikori had to sweat out victory against Ivan Dodig in four gruelling sets, winning 4-6 7-5 6-2 7-6. 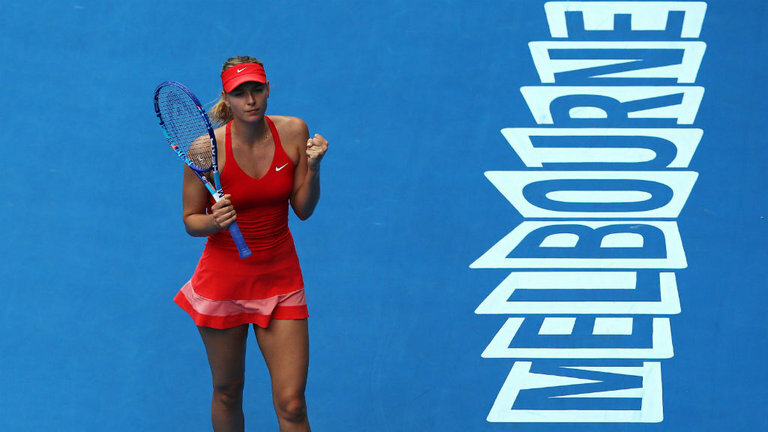 Sharapova survives a huge scare on round 2 in a dramatic encounter against compatriot No 150 ranked Alexandra Panova. She won the match 6-1 4-6 7-5 after saving 2 match points. “I’m just happy to get through. I was not playing my best tennis. Twice I was one point away from being through in this tournament. But sometimes when you are not playing your best, it’s just good enough to get through and that’s what I did today” a relieved Sharapova said after the match. Former world No.1 and currently ranked 44 (after an injury addled season) Azarenka oust good friend and former No.1 Wozniacki (8) in two set 6-4 6-2. Despite the scoreline, the match was a high-quality affair, with Azarenka striking 31 winners and 28 unforced errors to Wozniacki’s 18 winners and 20 unforced errors. No.4 seed and 2 time Wimbledon champ Petra Kvitova is into round three, beating Mona Barthel of Germany, 6-2 6-4. No.6 seed Agnieszka Radwanska advances to the third round with a decisive win over Sweden’s Johanna Larsson in just 44 minutes 6-0 6-1. She faces American Varvara Lepchenko next. No.19 seed Alize Cornet advances to the third round, beating Czech qualifier Denisa Allertova 6-4 6-7(2) 6-2. She faces AO 2014 runner-up Dominika Cibulkova in the next round. Seven time major holder, Venus Williams is certainly gaining back her groove and enjoying it. She had an easy victory (6-2 6-3) over fellow American Lauren Davis to move into round 3 of the AO. Venus who has never won an Australian open, is thriving in the midst of a carreer upswing at age 34. She will now face Italy’s Camila Giorgi, who beat Tereza Smitkova from the Czech Republic in straight sets. 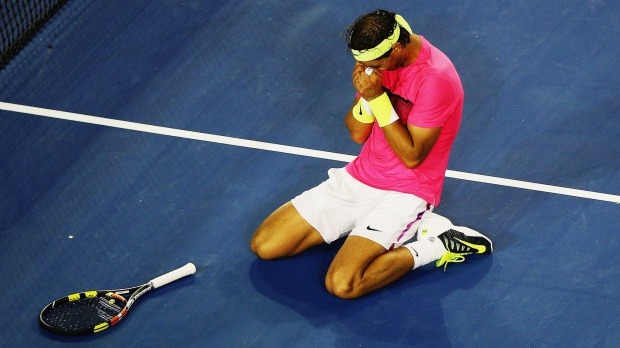 Posted on January 22, 2015, in Sports and tagged ATP, Australian Open, Federer, Nadal, Serena, Venus, WTA. Bookmark the permalink. Leave a comment.